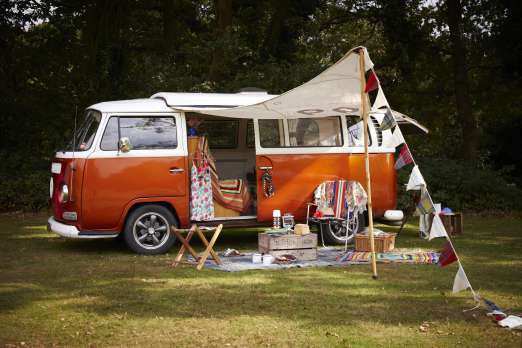 Dub Dub and Away has four beautifully restored classic VW Campervans to help make your holiday, festival or weekend away even more special. Each van contains everything you need including pots and pans, crockery, cutlery and that all important whistling kettle. All you need to bring is bedding, food (and drink) and a sense of adventure for your trip. Each of our vans are right hand drive to make them easier to drive on the UK road network and features their original interior, exactly as it was in the 1970's with a few minor tweaks to make them more comfortable. Honey stands out in any crowd and loves to turn heads with her stunning looks and definitive exhaust note and makes driving a real pleasure again. 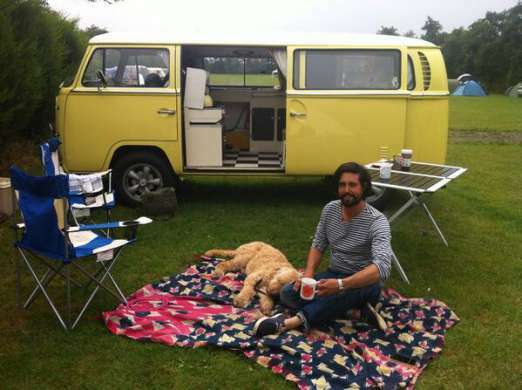 Sunny is a beautiful sunshine yellow campervan and was born in Australia during 1971 before coming to the UK for a "Driveabout." She can accommodate 4 in comfort when travelling and with her Westfalia style lifting roof she can sleep 2 adults in her rear bed and 2 more adults in her pop top and sleeps a child (up to 50KG) in her front cab bunk, please enquire for further details if required. Sunny is a bright and cheerful girl who puts a happy smile on the faces of everyone who meets her - Sunny by name and Sunny by nature! Moneypenny is a stunning 1971 Devon Moonraker Early Bay with a highly original interior and a beautiful orange and white paint job. 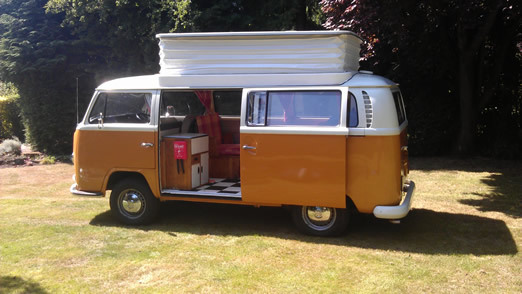 She easily sleeps 4 inside (2 adults 2 children) and loves long drives and holidays by the sea. She also has the facility to sleep a fifth child (up to 50KG) in her front cab bunk, please enquire for further details. 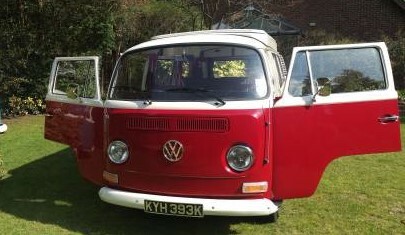 Poppy is a 1972 Devon Moonraker with the same interior layout as Moneypenny and is a beautiful chianti red and white. Just like Moneypenny, her sister, Poppy can sleep 4 inside (2 adults and 2 children) and also has the ability to sleep a fifth child (up to 50KG) in her cab bunk. She loves to get out into the country and looks stunning whilst driving on lazy summer days. You can contact us directly by phone.